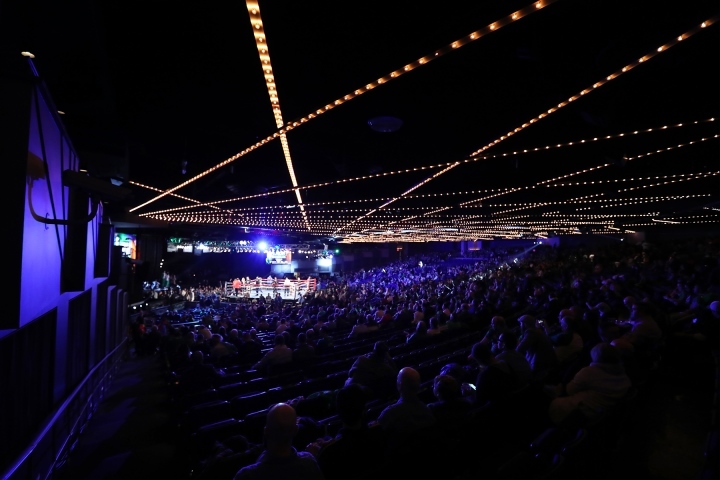 NEWARK, N.J. – Richard Schaefer hopes HBO or Showtime televises the semifinals of the World Boxing Super Series’ cruiserweight and super middleweight tournaments. Schaefer, one of the tournament’s promoters, believes the tournaments warrant wider television exposure in the United States. The cruiserweight tournament has been especially entertaining and will feature four of the division’s world champions in the semifinals. The World Boxing Super Series’ distribution deal in the United States with AT&T and DirecTV’s AUDIENCE Network ends at the conclusion of the super middleweight quarterfinals Friday. The WBSS-AUDIENCE Network deal has made the tournaments available to roughly 20 million consumers in the United States over the past month, but the tournaments haven’t caught on as much in the United States as in Europe. The tournament’s quarterfinal fights have drawn capacity crowds in Berlin, London, Stuttgart, Germany, and Riga, Latvia. The two WBSS cards in the United States – September 23 at the Alamodome in San Antonio and Saturday night at Prudential Center in Newark, New Jersey – attracted crowds of roughly 3,000 apiece. Russia’s Murat Gassiev (25-0, 18 KOs, 1 NC) defended his IBF cruiserweight title and advanced to the semifinals Saturday night by knocking out Poland’s Krzysztof Wlodarczyk (53-4-1, 37 KOs) in the third round at Prudential Center. The cruiserweight semifinals will match Gassiev against Cuba’s Yunier Dorticos (22-0, 21 KOs), the WBA champion, and Ukraine’s Oleksander Usyk (13-0, 11 KOs), the WBO champion, against Latvia’s Mairis Briedis (23-0, 18 KOs), the WBC champion. One super middleweight semifinal is set – an all-British battle between WBA 168-pound champion George Groves (27-3, 20 KOs) and IBO champion Chris Eubank Jr. (26-1, 20 KOs). In the other super middleweight semifinal, England’s Callum Smith (23-0, 17 KOs) will face the winner between Germany’s Juergen Braehmer (48-3, 35 KOs) and St. Paul, Minnesota’s Rob Brant (22-0, 15 KOs) on Friday night in Schwerin, Germany. “It’s really gonna be up to the Americans, up to the American, U.S. [television] networks, to embrace the tournament and say, ‘We wanna be part of that,’ ” Schaefer said. “The fighters and the promoters, but certainly the fighters, have delivered and have over-delivered. If the U.S. network or networks or venues or whatever are not interested in it, then, you know, so be it. Because the world is. And I see the amount of fan support the tournament gets here in the United States.